This past weekend nine out of the college football teams ranked in the Top 25 lost to teams that were ranked lower than they were, or in some cases to teams that were not ranked at all. There are upsets every week in college football but the collapse of nine schools in a single week is a little odd. From Friday to Saturday night the teams ranked 3rd, 6th, 7th, 8th, 9th, 11th, 15th, 20th, and 22nd lost. While eight of those upsets occurred throughout the day on Saturday, the biggest upset in my mind occurred Friday night when the 8th ranked Louisville Cardinals lost to the University of Central Florida Knights. The University of Central Florida Knights upset the Louisville Cardinals Friday night kicking off a weekend of upsets where nine of the top 25 teams in the nation lost. While many could have a strong case in questioning the fact of whether the Cardinals really should have been considered the 8th best team in the nation, the fact remains that the polls said they were and the unranked Knights defeated them despite trailing by 21 points at one point in the game. In the end it became UCF’s first victory in school history over a team that was ranked in the Top 10. 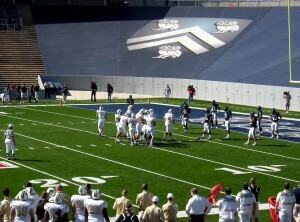 The victory also spoiled Louisville’s homecoming and ended a bid at a perfect season for the Cardinals. So right about now you are probably asking yourself why a game between two American Athletic Conference teams warrants mentioning since most of college football is focused on which of the teams from the SEC will claim the national title this year. It warrants mentioning because UCF just happens to be my alma mater and I have a bit of a history with the football program beyond just being an alumnus. I worked in the Sports Information Office as an intern, and also as the editor in chief of a newspaper covering the college when the Golden Knights, as they were then known, made the jump to the upper levels of collegiate football. So having been around when some of the early seeds were planted it is nice to talk about the current state of the program as well now that some of those seeds are bearing fruit. 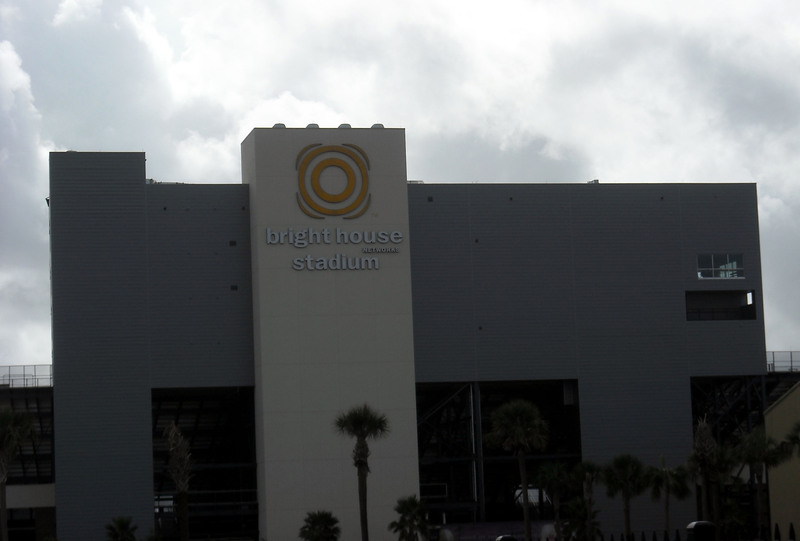 Since making the jump to the highest level of college football UCF has gone from playing games at the Florida Citrus Bowl Stadium to a stadium on campus. They have also improved their practice facilities from a crab grass covered field next to the disc golf course to an indoor air conditioned practice facility. After years of playing “home” games at a stadium across town from the campus the UCF Knights got an on campus stadium of their own a few years back. 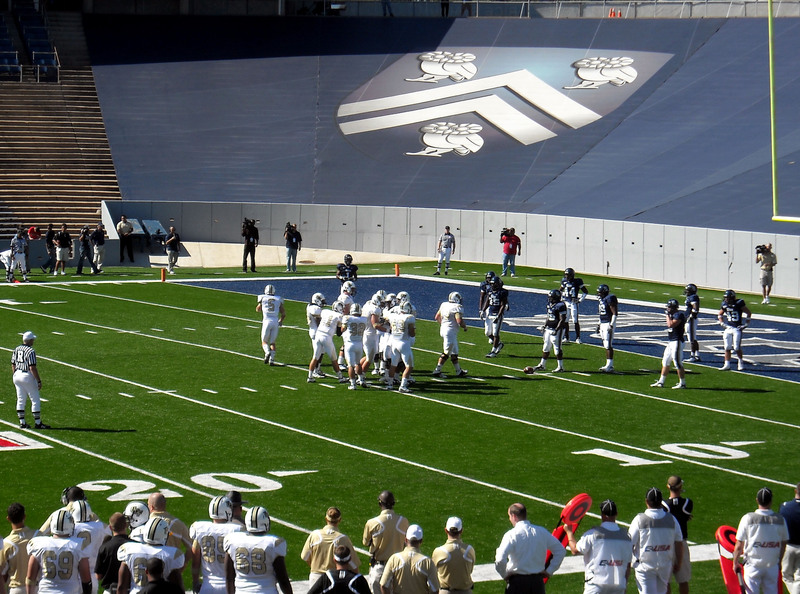 The football team has not been alone in the facility renaissance. Virtually every team on campus has received new or completely remodeled facilities since making the jump to Division I. While many other schools have the same amenities as UCF many of them have also been playing football for many decades more than UCF has. While the improved stadium and practice facilities have been nice they are not the only change in the program. The Knights have won bowl games and conference championships and occasionally get mentioned as a growing program by the national media. 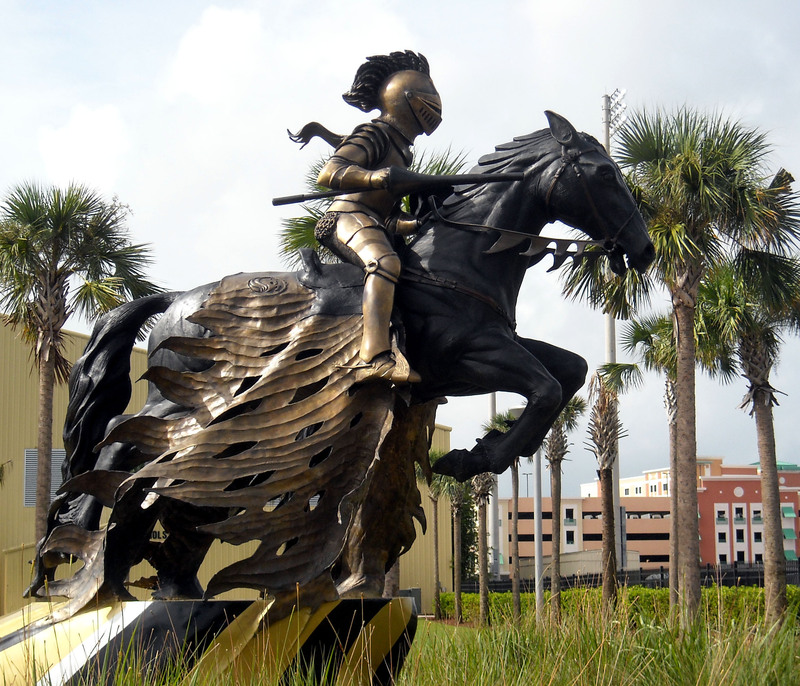 The truth remains though that despite having one of the largest enrollments of any public university in the entire nation, UCF still does not get the coverage of some of the smaller schools with a longer history of competition. So defeating the Cardinals during a nationally televised game on ESPN gives UCF more exposure. The fact that the Friday night game was the only televised game on at the time makes it even better. Whenever the UCF knights are playing within four hours of Houston I try to attend the game and show my support. Of course it was way convenient when they shared a conference with Rice University and I only had to drive 30 minutes to the game and had ample parking to pick from. While a single victory against a Top 10 team in front of a national audience does not mean the the Knights are ready to compete year after year for the national title, it does show the next step in a growing program that is evolving into something that other schools need to look out for. Although I have not made it back to campus to see a home game in the new on campus stadium, I have been fortunate enough to see several away games in Texas and Louisiana over the past decade or so. Who knows, maybe before long I will get to see UCF play in a major bowl game as well before too long. As a nice bonus the Knights were ranked in the Top 25 following their victory over Louisville so perhaps that flying under the radar will soon be coming to an end. Now if you’ll excuse me, I need to get my tickets to see the Knights play Southern Methodist University in December. Go Knights.